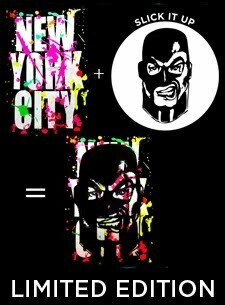 New limited edition Slick It Up New York City T shirt. Available in Small, Medium, Large. 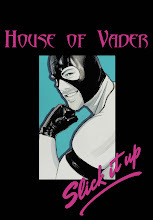 Pick one up at SLICK IT UP now at a discount using coupon code "houseofvader"
But I would rather the lettering say "SLICK IT UP" instead of "NEW YORK CITY." You'd have to go to more effort, but it would rock. Feel free to do that without me suing you!